Nearshore manufacturing will have many benefits for production firms, and freight logistics will also see an increase, Fleet Owner stated. In addition to heightened demand for cargo transportation, the transition to domestic logistics would be facilitated by the access to inexpensive energy in the U.S. While not all manufacturers are in a hurry to move operations back to the U.S. from other countries, the trend is on the rise. Many firms are strategically reshoring some or all production due to difficulties with offshore suppliers, delayed deliveries or issues with quality, according to Spend Matters. Moving production closer to where products are sold enables firms to have greater flexibility in filling orders, and new technological advancements such as additive manufacturing are enabling companies to reduce costs and stay productive. 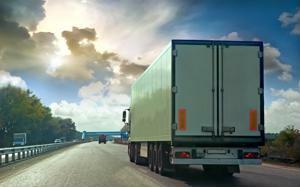 The rise of domestic manufacturing will place extra demands on the freight sourcing industry. Products made with chemicals, plastics and rubber may be among the first to be reshored to the U.S. because they require natural gas for production, Fleet Owner said. Increased production in the U.S. will require additional logistics. Direct material costs make up the bulk of manufacturing costs of goods sold, so the industry is highly dependent on access to affordable resources. If certain product categories can be produced and shipped for less than other countries, it will be a driver for manufacturers to move operations. Reshoring manufacturing could drastically reduce transportation costs and time to market, which firms may see as an advantage. The energy boom has lowered manufacturing costs as well as shipping. The trucking industry is gradually shifting to natural gas engines, and the accessibility of the resource is expected to keep costs low for the next five years, the source stated.